This bomb timer recently appeared for sale. I was seriously tempted by this curio but not at Euros 1,000 - it's not as though you can really wear it! It was also overwound. Year of Make ca 1937. Manufacturer: Jean Vial SA, Paris Military Forces. French Air Force Case, diameter 55mm, nickeled brass, 4 mounts to hang into the cockpit-plate. 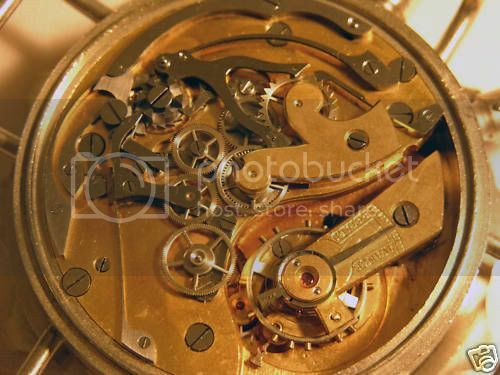 Movement: 20 "', Minerva (unmarked), gold plated, 9 jewels, monometallic ring, flat coil. Dial: emanel black with white ring, signed: 'breveté S.G.D.G.' 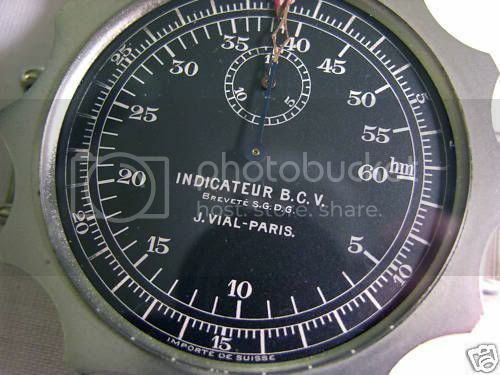 'Indicateur B.C.V., J.Vial-Paris, scale 5 - 60 hm und 0 - 30 seconds, central 30-secound-stop hand and 15 min-counter. Turning bezel. What was a bomber stop watch? 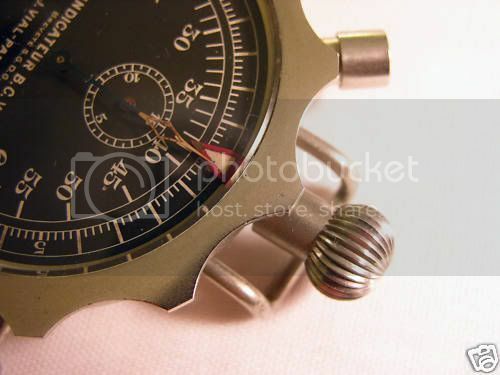 These special time pieces were used in multiseated aircrafts in combination with a 'visier' -Feature. The different types were mostly manufactured in Switzerland and implemented in the air forces of several countries. There were items with markings of the Italian, French and British Air Forces. Suppliers were some well known Swiss manufacturers, such as a IWC Bomb.The French items especially of Jean Vial used movements of Minerva of Villeret. For the German Air Force the use of these special pieces is not quite visible. 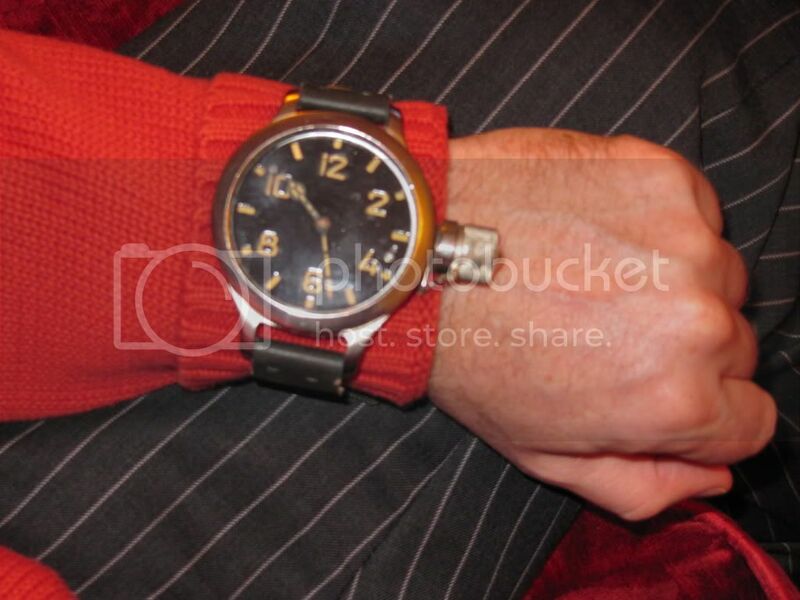 The documented 'Bombenrichtgeraet' had just a normal pocket stop watch attached. During the world war II some national orders of Italy or maybe Jougoslavia did not come to delivery, so there are some new production line items at collectors hands. 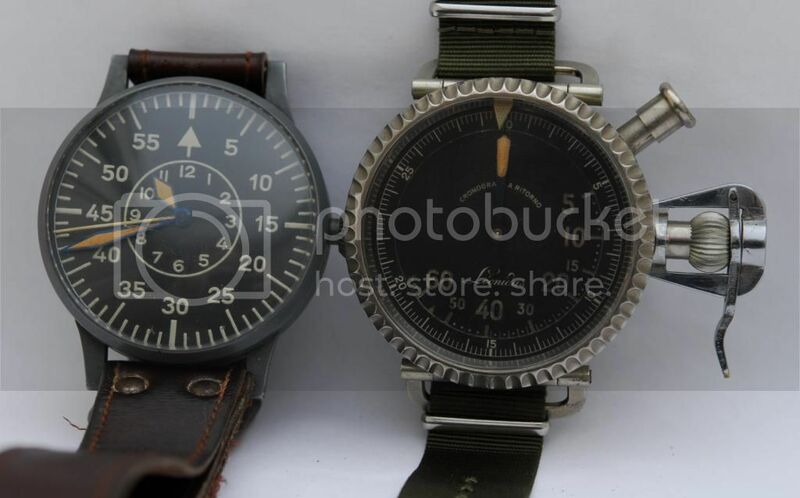 Maybe that within the war the 'Aeronautica Italiana' a alliance to the axes forces did cooperate with the German military specifications and instruments.The very special feature of this watches is, that the stop hand turns backward after the second push of the button ('count up' or 'ritorno' or 'a retour'). Diameter with crown: 75 mm. Diameter over mounts: 70 mm. Last edited by StampeSV4; 12-01-2010 at 22:14. Hmm, Al', I thought you might say that but with three mil-watches incoming (one of which is the Russian watch equivalent of a unicorn), I decided I could live without it. 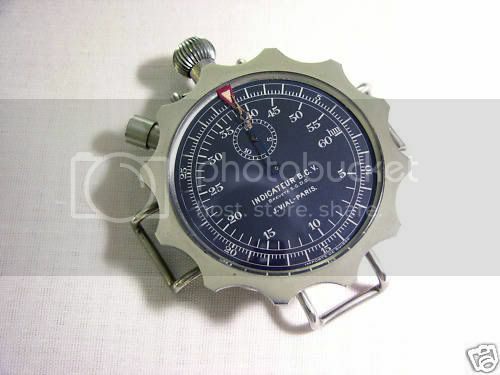 Besides, I also just bought a very nice Elgin 8 day aircraft clock (which you know all about! )...which I can't wear either?! Lol! Where is your commitment...? I could see it stripped to a 'chalk stripe' knee in meetings...? No? There was inspiration for that??? 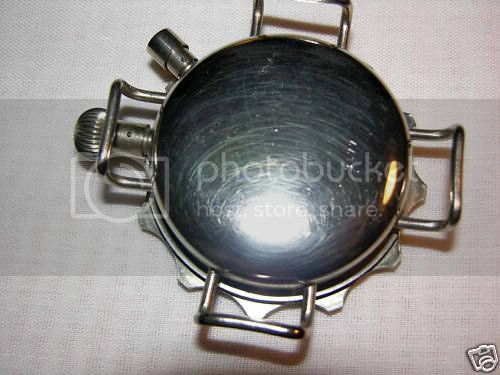 Or am I supposed to wear the underwater compass and depth gauge too? If I wear both Russian divers that's something on each limb, leaving only the neck?